Race, ethnicity, nationality and culture always have been and always will be important factors in figuring out one’s identity. Simply knowing their different meanings can help a person know what to look for, and where. Caucasian (Aryans, Hamites, Semites), Mongolian (Northern Mongolian, Japanese and Korean, Tibetan, Malayan), and Negroid (African, Melanesians, Australian Aborigine) Pashtun, Bengali, English, Scottish, American Indian, Welsh etc. Americans, Germans, Russians, Nigerians, British, Greeks etc. African, American, Austrian, Asian, Russian etc. Race refers to a group of people who possess similar and distinct physical characteristics. Originally, it was first used to describe speakers of a common language, but by the 17th century it began to be more about one’s physical characteristics such as skin color or hair type. 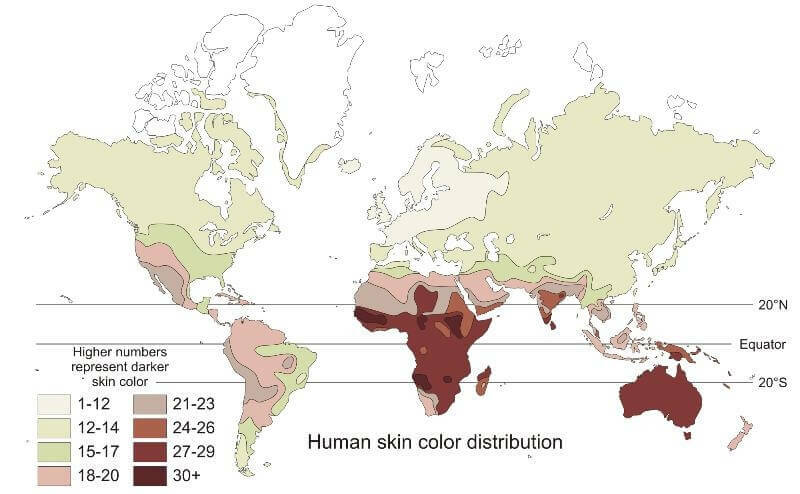 In other words, race constitutes a human population that is distinct in a way from other human groups based on their physical differences, imagined or not. Ethnicity or ethnic group refers to a category of people who regard themselves to be different from other groups based on common ancestral, cultural, national, and social experience. That being said, ethnicity is primarily an inherited status. One must share a common cultural heritage, ancestry, history, homeland, language/dialect, mythology, ritual, cuisine, art, religion, and physical appearance to be considered as a member of an ethnic group. This was recognized as such in the 19th century. Nationality pertains to the country of citizenship meaning it generally refers to where a person was born and holds citizenship. It is the legal relationship between a person and a sovereign state (A nonphysical juridical entity that is represented by one centralized government). It is often mistaken for ethnicity, due to the fact that some languages refer to it as an ethnic group that is not defined by political borders and passport ownership. Note: One can achieve a formal relationship with two separate sovereign states. This is called dual nationality. Culture is the way of life that consists of the general customs and beliefs of a particular group of people. It generally means the non-biological or social aspects of human life which is basically anything that humans learn in a society. A bit similar to ethnicity, but is often used to refer specifically to the symbolic markers used by ethnic groups to distinguish themselves visibly from each other. What is the difference between race, ethnicity, nationality and culture? While all of these refer to the distinction of one community from another, they do have differences. Starting off with nationality, it involves the sovereign state, unlike the other three which involve one’s physical appearance, historical background, customs, and traditions. To understand further, let’s say a person named John was born in Spain and was raised there, that would mean his nationality would be Spanish, simply because he is now a registered person under the sovereign state of Spain. Now he was born in Spain but his parents are not of the same race as the community, let’s say originally from Asia. That would now mean that although he was born in Spain, his race isn’t Caucasian but instead Mongolian (pertaining to the color of skin and height). His physical appearance would easily distinguish this. Ethnicity on the other hand, is somewhat similar to one’s culture but is based more on racial roots. Let us say John learned and adapted to the Spanish culture, he still wouldn’t be recognized as ethnically Hispanic since his racial roots are in Asia. That being said, ethnicity has nothing to do with John’s place of birth, but more to do with the place of birth of his parents or ancestors. Culture however can be passed down from one generation to another in such a way that John can learn and adapt to it, during his stay in Spain. Here is a video explaining further the differences between race and ethnicity with interesting facts throughout history.